A unique way to express the Galatians verses about the 'Fruit of the Spirit'. 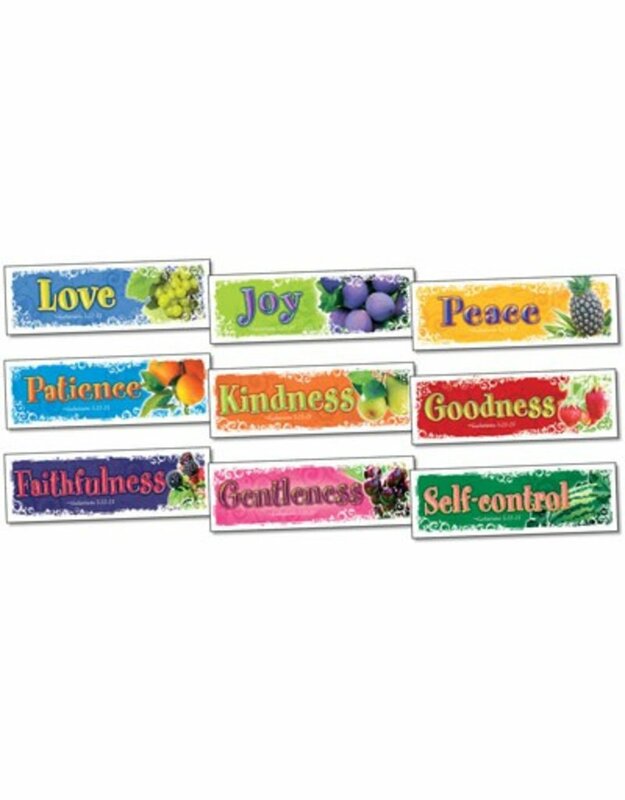 Bookmarks individually highlight each spiritual fruit. Assortment 4 ea of 9 different, 36 per package.